Jordan is a graduate of the University of South Carolina and has a bachelor’s degree in history and psychology. 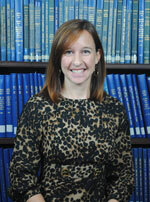 She will complete her master’s degree in public history at Armstrong State University in December 2014. Today’s post comes from Jordan Fischer, GHS’s Education Intern. This summer she is helping GHS develop educational resources for teachers and students. Jordan is excited to reveal the excellent education resources you might not know are available for FREE on the GHS website! As the education intern this summer, I’ve had a crash course in learning about all the educational resources GHS offers online. Sophia and I wanted to make sure that educators knew what materials were available, how to use them, and where to find them. Most of these resources are available on the For Educators page under the Learn tab on our homepage, but you can find great teaching materials throughout our site! Check out the links below for resources to help you throughout the next school year. …has primary source sets and teacher guides? On the Teaching with Primary Sources page, you can discover the power of incorporating primary sources in your lesson plans through GHS-created primary source sets, teacher guides, handouts, teacher-made materials, and engaging student activities. You can access Chapter by Chapter Primary Sources that accompany the Georgia: A History of Change and Progress textbook, explore the African-American Life and Culture in the Georgia Lowcountry Interactive Case Study , and find ready-made Handouts and Presentations. …has an app for that? With the GHS Marker App (available for iPhone and Android) you can view the entire state database of historical markers in the palm of your hand! 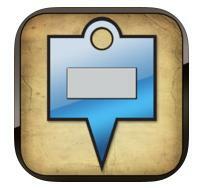 The app also enables you to create your very own marker-based driving trail. You can search our Historical Marker Database online by marker program, county, gender, historical period, place, race, or subject. …has biographical materials, suggested readings, interactive elements, and teacher guides for influential figures like Flannery O’Connor, James Oglethorpe, and Juliette Gordon Low? 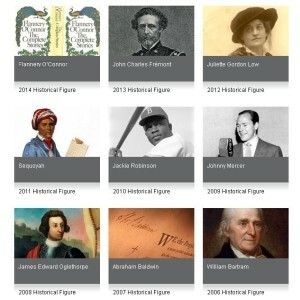 The Featured Historical Figures pages help students learn about the life and legacy of individuals important to Georgia history. On the Teacher Guides page you can find printable PDF guides to accompany each Featured Historical Figure. …has Online Exhibits covering United States and Georgia history? 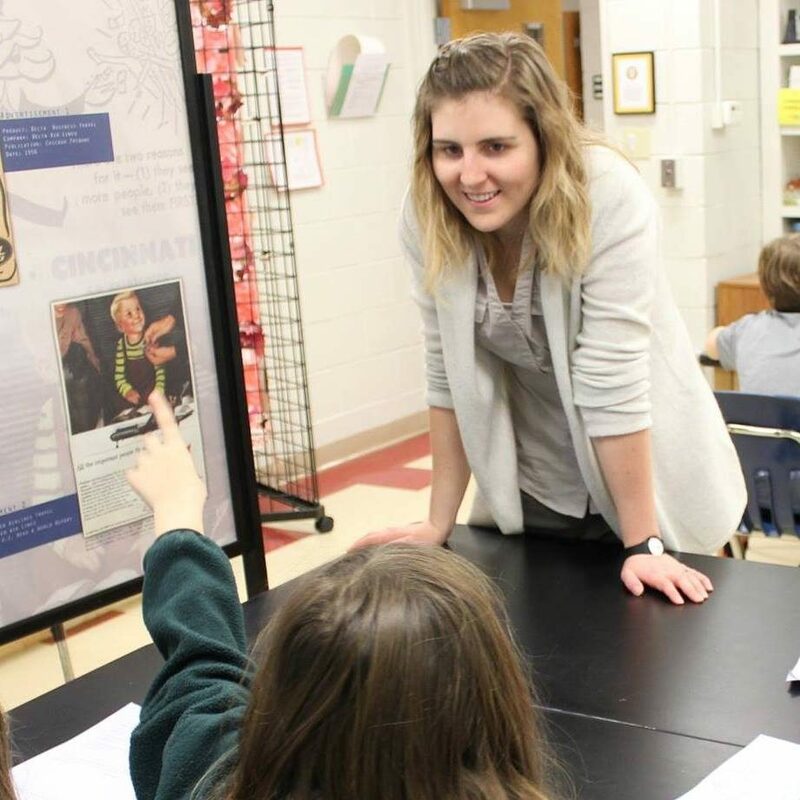 Each primary source-based interactive exhibit brings history to life with recent scholarship and items from the Georgia Historical Society collections. You can also find Teacher Guides that provide discussion questions, vocabulary, lesson plans, suggested activities, and assessments. 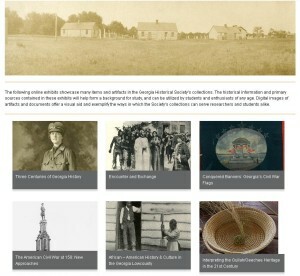 …has a Digital Image Catalog where you can search for primary sources to use in your classroom? 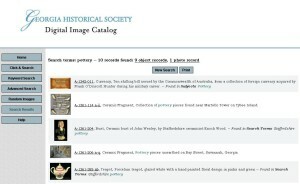 This search tool enables you to find artifacts, photographs, prints, and other primary source materials from our collection. 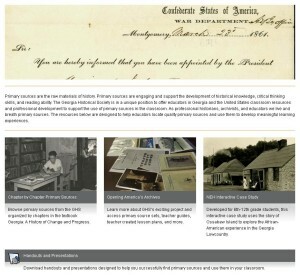 …has tips and tools for using primary sources in your classroom through the Opening America’s Archives page that are aligned with the 8th Grade Georgia Studies Performance Standards and CCGPS? This resource includes five primary source sets with a PDF teacher guide of historical background, a bibliography of the primary sources, and suggested activities and projects. You can also find handouts and teacher-made materials to use with these lessons. …has an (excellent!) educational blog with videos and resource reviews? Sophia’s Schoolhouse is a great resource for the classroom, and I’m glad I have this opportunity to contribute to it! Through the thorough and entertaining videos on this site, students can explore the Georgia Historical Society’s vast collection to uncover fascinating stories from our past. …has a joint collaboration with Georgia Public Broadcasting that includes daily television and radio segments focusing on significant people and events associated with a particular day in Georgia history? Today in Georgia History includes short streaming videos as well as vocabulary, daily writing prompts, and suggestions for further study. 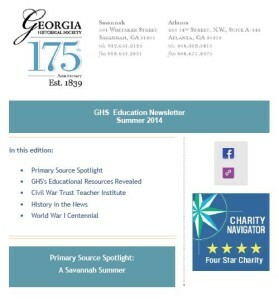 Together, these resources can reach students of all grade levels, cover all subject areas based on content, and align with Georgia’s social studies curriculum and performance standards. …has an Education Newsletter that provides helpful, current information about educational programs and resources at GHS? In addition to subscribing to the monthly email you can access past issues of the newsletter in the archive. I hope that this post helped to reveal some new resources you can use in your classroom this year. Staff at GHS are always developing new and updating old educational material, be sure to check back often to see what’s new!